What a friendly reminder, you think to yourself. But wait, who is texting you and how do they know where you are going? The answer might either fill you with joy or scare you a little. The LCY airport, which is located 6 miles from central London, is the first one to use the so called “Internet of Things”. IoT is a technology which is putting data together and creating information to give a better customer experience, smartly topping it off with lucrative marketing opportunities. 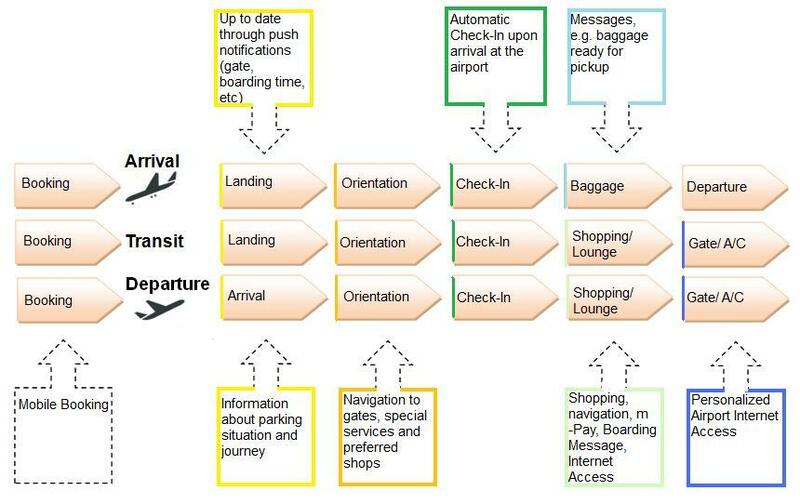 Travelers and their baggage can be tracked, their behavior analyzed and customized offers be sent to their devices. The possibilities are endless and allow the passenger’s journey to be tracked and predicted. So why do many people find this technology equal parts helpful and disturbing? It cannot be denied, that those IoT applications can have many advantages for travelers. Airports can provide them with real time flight information and send personalized messages to their devices, such as waiting times for the security lines, gate reminders and location specific services. The passenger’s movement through the airport can be managed on a whole new level, since it even allows journey time measurement, baggage tracking and the localization of missing passengers, which can be a very helpful tool in emergency situations, too. If travelers are unable to make a flight, an auto-rebooking function can be enabled on their device and their baggage will not be boarded. Even drivers will know when their customers leave the terminal and are ready to be picked up. These are only a few positive aspects of the technology the London City Airport uses to refine its capabilities and even though they may be helpful, they are also highly controversial. 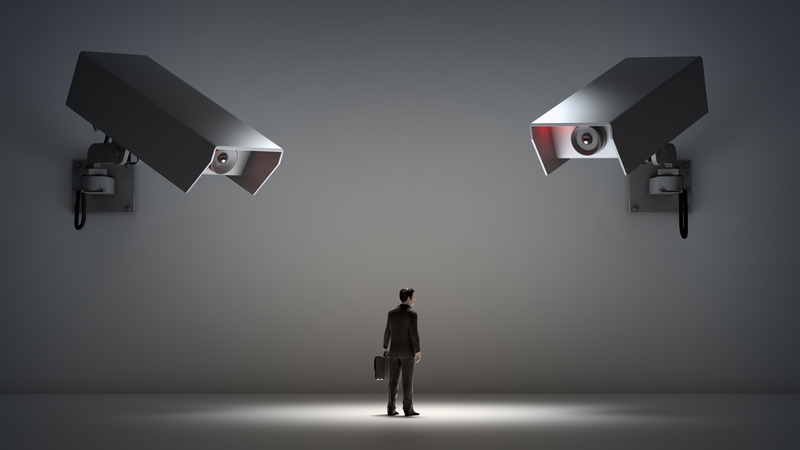 Privacy advocates are calling it the “Big Brother” concept. They criticize the use of facial recognition software at the airport, which continuously monitors where passengers are to improve efficiency as well as costs. And they may be right: Who can guarantee that not everything will be monitored and that my face and name will not be associated with it? Who can assure that the data won’t be used to identify individuals in the near future? In 2003, when I had just created the new Telco/Mobile sector for PASS, we conducted a study on all processes around the airport to provide an outlook for 2010 (PASS 2003 Future Prediction). We were able to foresee what is now, eleven years later, common practice at the London City Airport. 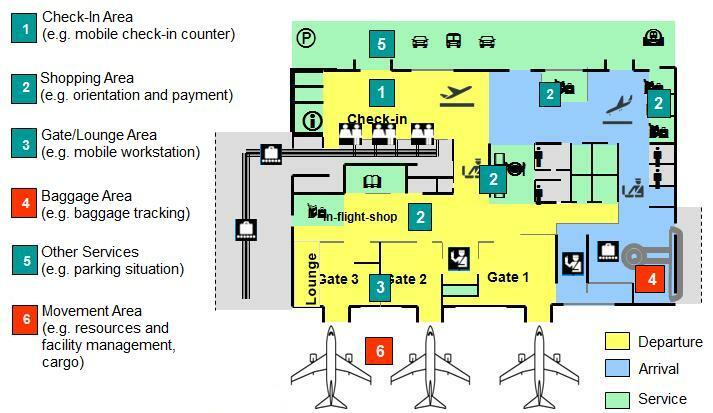 The following graphic was part of the study and predicted the possible application areas of mobile devices at airports. I even predicted how exactly passengers will be guided through the airport with help of their mobile devices. Back then, only a few people would have thought that this scenario will become reality in the near future. New technologies are constantly being developed to improve processes, save time and money, so imagine what this airport (and other airports) will look like another twelve years from now. Therefore, it is no surprise that there are still many concerns regarding privacy and data security, since no system can always be completely safe from phishing and hacking attacks. Travelers fear they could be identified by an unauthorized party or stakeholders might use the collected data beyond the specified purposes. They have every right to be suspicious, since there is no way the data can be reviewed or controlled by them. It can be pretty scary to think that devices using IoT applications can determine the habits and behaviors of passengers, for example by measuring how often a certain item is getting picked up at the airport perfumery. What makes this scenario even scarier/more helpful (feel free to pick whatever applies to you), is that the traveler can be geo-located outside of the airport, which allows the app to inform him how long he can stay at the office or at home if there is a delay. The difficulty of controlling the data flow and realizing the traveler’s wish of remaining anonymous, make Internet of Things-driven airports to a place where everything seems to be easier, but also a little creepy. Despite the concerns, Matthew Hall (Chief Commercial Officer at London City Airport) is sure that IoT is a great deal. “This project will help us to manage the passenger journey through the airport and interact with our customer, track assets on-site, and utilize intelligent marketing concepts tailored to an individual’s needs. We aim to set an example for airports and other businesses all over the world to follow”, he states on the airport’s website. Only time will tell if the data will be used responsibly and if travelers will get used to the thought of being followed on every step of their journey.